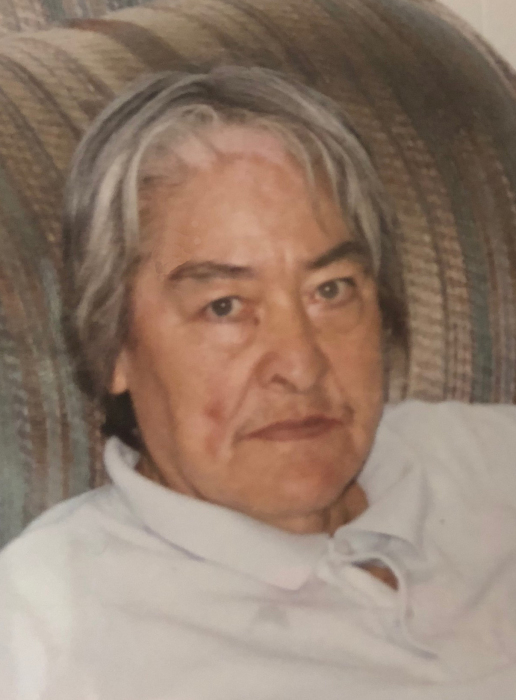 Esther Costales, 76, of Silver City passed away peacefully on Friday, July 27, 2018 after a short illness. A Memorial Service will take place on Thursday, August 2,2018 at five o’clock in the evening at Baca’s Funeral Chapels in Silver City. Officiating will be Pastor Sam Rocha. Esther was born in Santa Rita on March 6, 1942 to Francisco and Paula Costales. She will be fondly remembered as a kind, caring, forgiving and gentle person. Esther was outgoing, had a great sense of humor and loved to joke with the family. She enjoyed spending time with her family, listening to music and dancing. Esther is survived by her sisters, Eva Castillo and Olivia Brito (Richard); numerous nieces, nephews and cousins. She was preceded in death by her parents, Francisco and Paula Costales; sisters, Eduvigen Costales, Magdalena Nanez (Manuel), Maria Vasquez (Frank “Kiko”), Pila Torres (David); brothers, Arturo Costales (Lupe) and Alfredo Costales; brother-in-law, Freddy Castillo.